Wednesday afternoon, Wolfram Research debuted Mathematica 10, the first iteration of the company’s signature program to tap into both the company’s Wolfram programming language and the power of the cloud. In 1988, Wolfram debuted the original Mathematica, a program to allow anyone from high school students to professors to translate mathematical equations from the real world onto computers like the NeXT portable workstation. In 2013, Wolfram outlined plans to expose what he called the Wolfram Language, the underlying structure of the relationships that Mathematica explores and exposes. 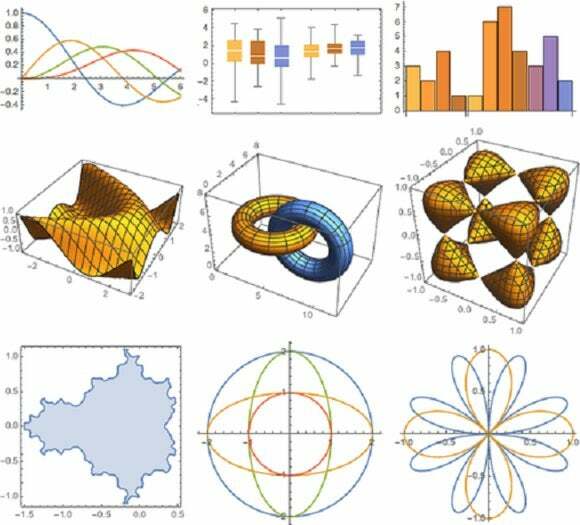 Twenty-six years later, Mathematica 10 has added concepts like computational geometry, geographic computation, and even device connectivity to its core functions, allowing anyone from novices to corporations to tap into its capabilities. "It’s also a mixture of things I’ve long planned for us to do—but which had to wait for us to develop the necessary technology—together with things I’ve only fairly recently realized we’re in a position to tackle," Wolfram chief executive Stephen Wolfram said in a blog post. One of those include the cloud. For now, Mathematica 10 runs solely on PCs, although an online option is coming soon. But the software also connects to the cloud to pull in information from the Wolfram KnowledgeBase, an online database of curated data that can dig up anything from the cheapest toaster to the nearest tornadoes to a user's current location. The price Wolfram charges for the desktop version is virtually identical to 2012’s Mathematica 9: $295 for home use (or $150 per year), $995 for a “Starter” price; $2,495 for a “Standard” edition for professionals; or $6,995 for enterprise users. Wolfram will charge home users $149 per year (or $15 per month) for the online-only option, and $995 and $3,495 for the Standard and Enterprise editions, respectively. Each desktop version allows up to four computation kernels, or four parallel instructions running across the cores of an individual PC. Home users do not get access to customer support, while those with Starter licensees or above get access to a year of paid technical support. The online-only options also include varying levels of cloud storage (2GB for home users) and a limit on how many users, or viewers, can view the data at one time. Both home and business users can also tap into the API used by its Wolfram Alpha search engine—3,000 times per month for home users, and more for higher-paying subscriptions. And if users want to take the opposite route—creating an API that can be accessed by other applications, interact with the Wolfram Cloud online services via Java or other languages, or create dynamic documents—there are so-called Cloud Credits, which can be bought for $15 for 50,000 apiece. In addition to the substantial number of algorithms the company has added to the software, Wolfram has added basic features such as aggressive autocompletion, a new style for plots and graphics (shown above), and simplified capabilities like machine learning that can be drilled into and explored. Quite frankly, if you're involved in mathematics, you've likely heard of Mathematica. If you haven't, there's a 30-day free trial to explore.